It’s a proven fact – your vehicle will run better and last longer if it is well-maintained. Roesch Ford, your trusted provider of Ford service in Bensenville, IL has a few tips regarding how to do just that. Although it seems simple and obvious, the truth is that many people procrastinate getting their car’s oil changed. Recent studies estimate that more than 20 percent of vehicles have low or dirty engine oil. But out of sight, out of mind plays a part here. While driving down a busy street or beautiful country road, you can’t see that the oil inside your engine is breaking down. Dirt and debris from the road, bits of rust, and all sorts of other contaminants make it all but impossible for the oil in your engine to do its job properly. So do your engine a favor – change the oil! That oil does more than just lubricate your engine. It helps keep the engine cool, because moving parts like pistons and valves without proper lubrication create friction, and therefore, heat. Making sure that your engine has plenty of clean oil is the best way to prevent over-heating. Good, clean oil keeps the whole engine clean, too. 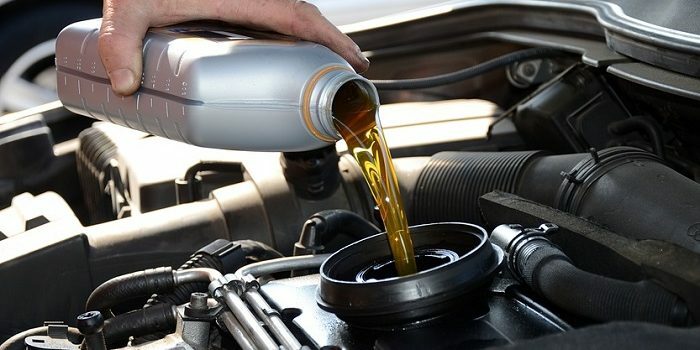 Over time, dirt particles that get into the engine turn old oil into sludge, and so it stands to reason that regular oil and filter changes help remove those particles and keep the engine running smoothly. Did you know that regular oil changes improve your gas mileage, too? Yes, poor lubrication in the engine leads to increased fuel consumption, which means more stops at the pump. Get your oil changed to get the most out of your vehicle! Roesch Ford cares about you, and we care about the longevity of your vehicle. Through June 30, we’re offering The Works® for only $39.95. You’ll get a synthetic blend oil change, tire rotation and pressure check, brake inspection, multi-point inspection, fluid top-off, battery test, filter check, and a belts and hoses check with no appointment necessary! So come on in…we hope to see you soon!